The GamePad's larger map helps quite a bit in Black Ops 2 multiplayer. In the run-up to the Wii U’s recent release, Nintendo frequently said the touchscreen-equipped GamePad wouldn’t just enable new types of games and gameplay, it would also help improve traditional games ported over from other systems. By adding touchscreen controls and an extra informational display to the standard analog sticks and buttons, the argument went, the Wii U versions of multiplatform games would provide a superior experience simply impossible on other systems. We’ve now had a chance to check out many of the ports clogging the Wii U launch lineup. While there are a few games that are improved by the new system, overall we were unimpressed with the new features offered by the GamePad. Technically, the Wii U ports are perfectly adequate versions of games released on the Xbox 360 and PS3 in the last year or so, with HD graphics that aren’t strikingly better or worse than the versions on competing consoles. While we noticed a bit of pop-in and stuttering on certain games (most notably Madden NFL 2013 and Assassin’s Creed 3), we’re willing to chalk that up to porting issues rather than raw hardware power. And while many of the Wii U versions have additional content over those released earlier on other systems (much like a Game Of The Year Edition), we’re specifically interested in the kind of GamePad-enabled content that wouldn’t be possible on an Xbox 360 or PS3. 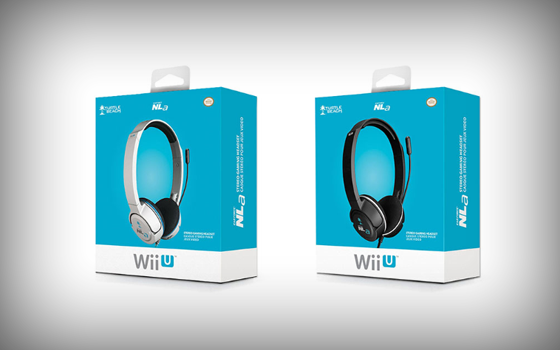 Be ready to invest in something like this if you want to chat with other gamers on the Wii U. With exactly one month to go until the Wii U launches in North America, there's still a good deal we don't know about how the system's online gameplay and other services will function. Official information on this score has been hard to come by, being released in drips and drabs that usually have to be pried out of Nintendo with a crowbar. The latest bit of news in this area surrounds voice chat on the system. And Nintendo's response does not inspire confidence that the company has finally created a strong set of integrated online gaming features for the Wii U (or figured out how to support online gaming right in general). Kotaku got Nintendo to admit in-game chatting on the Wii U would only work on "select games" including Assassin's Creed III, Call of Duty Black Ops 2, and Mass Effect. This gels with previous statements in which Nintendo hinted it would allow third-party publishers to implement their own online gameplay solutions, rather than locking them into a system-wide online solution. It's still a little disappointing that the company has removed any possibility of Xbox Live-style, cross-game party chat, or even casual voice conversations during single-player games. Oddly enough, even games that support voice chat won't be able to take advantage of the speakers and microphone already built in to every Wii U GamePad (along with a crappy, front-facing video camera). Instead, Nintendo says you should plug a licensed stereo headset from a third-party manufacturer like Turtle Beach or Mad Catz into the GamePad to get in-game chat working. Things get even weirder if you want to chat while using the Xbox 360-styled Pro Controller—it doesn't have a headphone jack. In that case, you'll have to keep the bulky GamePad nearby as a kind of wireless docking station for your headset (we're reminded a bit of the way the Wii Remote always had to dangle uselessly off the bottom of the Wii's Classic Controller to leech off its wireless signal). With exactly a month to go until the Wii U launches in North America, there's still a good deal we don't know about how the system's online gameplay and other services will function. Official information on this score has been hard to come by, being released in drips and drabs that usually have to be pried out of Nintendo with a crowbar. The latest bit of news in this area surrounds voice chat on the system. And Nintendo's response does not inspire confidence that the company has finally created a strong set of integrated online gaming features for the Wii U (or figured out how to support online gaming right in general). Kotaku got Nintendo to admit in-game chatting on the Wii U would only work on "select games" including Assassin's Creed III, Call of Duty Black Ops 2 and Mass Effect. This gels with previous statements where Nintendo hinted it would allow third-party publishers to implement their own online gameplay solutions, rather than locking them into a system-wide online solution. It's still a little disappointing that the company has removed any possibility of Xbox Live-style, cross-game Party chat, or even casual voice conversations during single player games. Oddly enough, even games that support voice chat won't be able to take advantage of the speakers and microphone already built in to every Wii U GamePad (along with a crappy, front-facing video camera). Instead, Nintendo says you should plug a licensed stereo headset from a third-party manufacturer like Turtle Beach or Mad Catz into the GamePad to get in-game chat working. Things get even weirder if you want to chat while using the Xbox 360-styled Pro Controller—it doesn't have a headphone jack. In that case, you'll have to keep the bulky GamePad nearby as a kind of wireless docking station for your headset (we're reminded a bit of the way the Wii Remote always had to dangle uselessly off the bottom of the Wii's Classic Controller to leech off it's Wireless signal). 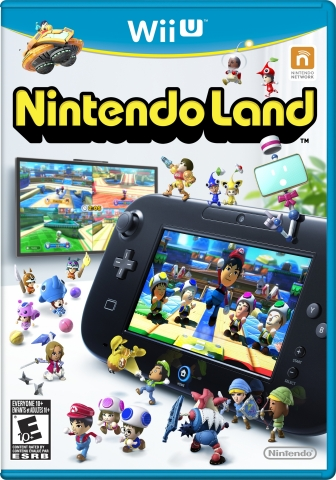 Nintendo is pinning a lot of hopes on Nintendo Land as a launch day system seller for the Wii U. Earlier this month, when Nintendo revealed many of the final details about the worldwide launch of the Wii U, the company listed 50 games that would be available for the system in North America during a nebulous "launch window" that runs from November 18, 2012 to the end of March 2013. Today, Nintendo nailed down the Wii U's launch software lineup with a bit more detail, announcing 23 games that will be in stores when the system launches on November 18, with eight more available by the end of November. Notably, heavily promoted Nintendo-developed titles like Pikmin 3, Wii Fit U, and Game & Wario will not be available on launch day, leaving just New Super Mario Bros. U and mini-game collection Nintendo Land to represent first-party development on day one. Ubisoft will be providing a few worthwhile launch-day exclusives for the system in the form of the charming Scribblenauts Unlimited and augmented reality horror game ZombiU, but Wii U owners will have to wait for other promising exclusives like Lego City: Undercover, The Wonderful 101, and Rayman Legends. The vast majority of the games available for the Wii U on day one will be ports of games already available on existing systems. Call of Duty: Black Ops 2 is by far the most important of these, marking the bestselling series' return to Nintendo systems after a long absence, but the Wii U version will necessarily be coming five days after the system hits PC, PS3, and Xbox 360 on November 13. Activision will be bringing its popular Call of Duty franchise to the Wii U with a version of Black Ops 2 designed for the system. Joystiq snapped a picture of a demo kiosk showing the game at the Wii U announcement event this morning, confirming the existence of the best-selling first-person franchise on Nintendo's new hardware. Wii U will be launching in the US on Sunday, November 18, five days after Black Ops 2 launches on current systems. The Tendo Project – Daily Nintendo News is powered by	WordPress 5.0.4 and delivered to you in 2.922 seconds using 41 queries.